May 6, 2013, 10:24 a.m.
By Caroline O’Donovan @ceodonovan May 6, 2013, 10:24 a.m. The paper’s aggressive commitment to video was made even clearer recently with the announcement that the Times was putting its video content outside its paywall and an earnings report that points to video ad sales as a silver lining. And indeed, Howard acknowledges that rapidly growing video ad premiums is a major driver behind this shift in focus. O’Donovan: I wanted to chat with you because there’s been a lot going on in the Times’ video department in the last week or so, but also, you just got there in February. So how’s it going? Actually, it’s been going really well. It’s definitely a different kind of organization than I am used to, so there’s a lot of learning. I feel like my head is expanding — my brain is expanding every single day. It’s the most stimulating, most interesting, most difficult job I’ve ever done, and I’m happy for it everyday. So it’s been pretty amazing. I also just moved to New York from L.A., so, there’s a lot of newness going on. But it’s really been an incredible experience. My role is really unique for the company, not only because video is a relatively new initiative, but it also reports up through the business side as well as the editorial side. So I like to tell people I’m from the Land of the Dual Report. It’s not really anything that’s been done here before. Usually it’s church and state between editorial and the business side, so my role is quite unique for The New York Times. And other probably similar publishers. It’s pretty interesting in that regard. O’Donovan: So was that structured that way because of specific needs in the video department? And how do you mediate both of those sides? Howard: You know, video is an unusual beast. For example, here production is separate from business. Production and the creating of content is kept separate from business for a good reason. Anywhere I’ve been, the means of production has been different — even a different location from the means of business. I think even in traditional media, there’s a reason why that has existed since the beginning of film production in a lot of ways. So I’m actually kind of familiar with that structure. As far as day-to-day, it’s not anything really new. I think as far as my duties and obligations and responsibilities, it’s really important that we’re remaining true to the editorial strength of The New York Times and feeling the need to continue to monetize and figure out new ways to monetize video and to grow video. Those two things really need to be and in hand. You have to protect the editorial voice as you figure out new ways to monetize. I think having someone who is overseeing both is actually really important in this case. O’Donovan: We talk about that a lot — the need for someone with business know-how. And not even just know-how, but desire to have that know-how. To have someone who can talk to journalists and make them understand. Is that a big part of your role — that mediation? Howard: I think that I’ll get into that more as my role grows, as I’m here longer. Right now, the business part is about where people are consuming our videos. If we don’t have strong taps of distribution, then the content that we’re making becomes sort of irrelevant, because nobody has the ability to look at it. Obviously, with traditional media, with paper and the digital version of the paper, it’s very clear where you’re getting your content. But video really needs a very specific task for consumption, especially at a company like this where people don’t necessarily expect to see video on the site and they’re becoming more and more accustomed to that experience. As far as the business side of things, it’s really important that we’re able to pave those paths and figure out how to people are going to get to see what we have and what we’re offering. So when we’re thinking about content, we’re thinking about the distribution of content — the kind of content that makes sense for our readers, and the kind of content that we’ve built toward our journalism, and then clearing that path in order to get it to people. I believe that those two things — the content and the distribution aspect — are very closely tied to one another. You can’t clear that path unless you know what kind of load you’re taking down that path, what that looks like. O’Donovan: In terms of clearing that path, obviously removing the paywall from video content last week was a big step in that direction. So I’m curious — you guys have content on YouTube and Hulu, but there was a paywall on the site — how did you get to the place of making the decision that it should all be available, and what are your goals for that set up? Howard: I think we’re making a stronger commitment to video. The challenge is making sure people know that we have video on the site, and we felt by lifting the paywall it would give us that opportunity to make it more available, to make it clear to people that we’re making video and to make it more easily accessible. We also think that when people can experience our excellent video, it actually has the opportunity to serve as a beacon and get people to come back to the site — even potentially become a subscriber. We have a lot of inventory demand right now from advertisers and we’re trying to find ways to satisfy that demand, and increasing our streams is really important. So that was also a part of that decision. O’Donovan: From the inside of editorial, how much content are you producing every day or week? And how are you going to manage that? In terms of finding the resources and staff for that, is it going to be a challenge? Howard: We’re taking a step back and we’re looking at the opportunity for video for The New York Times. How should video be experienced on the site and how should video interact and create a more engaging experience with our readers? When you step back and look at the Times, we have very strong verticals of content. We’ll build programming that aligns with those verticals, that represents the various sections that we have in the paper. We’ll step back and we’ll look at our lifestyle section, we’ll look at arts and culture, technology, and business, and look at more of a channel perspective when it comes to developing video. I think when we start looking at it like that, we can really start to imagine the kind of content we’d like to be building there based on. For example, some of the strong journalists that are in those sections, based on more of the popular columns that people are reading in those sections. And then be specific about the kind of talent we’re going after to produce that content. Instead of taking the approach of the filmmaker who can make anything and do it well, we’re going to find filmmakers who have a little more of a specialized perspective of the content and make it excellent. I think you’ll see more of that kind of network-style programming, just in the sense of verticals. O’Donovan: There’s talk about capitalizing on the existing talent and the personalities that are there — do you have any sense of any more specifics on what that will look like? Howard: It’s probably fairly clear when you look at the journalists that we know have strong readership and have strong bylines and social that we’d like to build out that opportunity for them. So, within each of the sections, we’ll identify journalists, for example, like Mark Bittman, a clear choice for creating a series there, and Nate Silver, and other journalists who we think have a really strong point of view and really connect with their audience. We’ll want to continue to build them out. O’Donovan: Yeah, I know in my circles at least, there’s an outcry for more Nate Silver TV in the world. So. Howard: You know, someone had asked me a question — if you’re building out these verticals what’s the difference between you and Oprah’s OWN or one of those specific, lifestyle channels on cable. I think we do have such a built in trust with our brand and our journalists that I think we have this ability to create content that focuses around what most interests our journalists, that will then by extension interest their very committed audience. We have a strong voice that we know we can be building up to video. O’Donovan: Are there other digital engagement strategies you’re looking at in terms of promoting newer content and things people might not be as familiar with? Howard: You’ll see us opening up to many diverse distribution platforms. You already mentioned Hulu — and iTunes, and over-the-top, and even Amazon is getting into the content business, so we’ll be looking at lots of distribution opportunities. I think that we know that our audience is all across the web, and globally all across the web, so we want to make sure our content is getting to them where they’re spending time. If that happens off the site, we want to make sure we get our content to them. So we’ll be looking at aligning with publishing partners who align with what our core values are and what our goals are and be able to distribute our content off our site. I think you’ll start to see our content in other places than in places we’ve been traditionally more focused on. O’Donovan: I’m not sure how much you can speak to this, but that sounds like a bit of a contrast to what the Times’ paywall has been about — how does that make sense to you, those two differing strategies? On the one hand, to charge for access to content, and on the other hand, to push content out there as far as possible. Do those two ideas live comfortably under one roof? Howard: I think so. I think we do allow people to see a certain amount of content for free a certain month. We’re not saying you have to pay for everything you look at on our site. Secondly, I think right now, especially as we’re building, it’s really important that we get our voice out there in video. A lot of what we’re experiencing right now is a perception problem, both in our audience and the marketplace, is that video isn’t a priority and we haven’t been making video — when we really have been making video. We just haven’t had the pipes and distribution platform to get it out there. So I think it’s really important to raise that curtain and let people know we’re making video. I think we look at it as an opportunity of being curators of excellent content. I think people who come to the Times everyday because of our excellent judgement of what we’re putting in front of you to look at everyday, in terms of every vertical. I think we have an opportunity for aggregation of premium content, so we can offer what is really interesting to us that we think might be interesting to you as well. So we’ll be looking at some premium aggregation. O’Donovan: Do you have a sense of where you want to pull content in from? Would it be newsier stuff, or you talked about some filmmakers? And then how would you separate that content from the content you create? Howard: It will be separate in our library, you’ll be able to see the difference. And we’re going to allow content creators to have their names on the content. So you’ll be able to tell. It’s not that different from what The Atlantic’s doing, and what other companies are starting to do right now. We’re just putting it out there to say: You don’t need to go searching around the web, surfing for excellent content. We’ve already done that for you, and we’ve put it together in easy playlists for you to discover it. O’Donovan: Do you feel like part of that sensibility came over with you from AOL/Huffington Post? Howard: I think that curation is something we’ve been doing. We do recommend other articles to read. It’s not that unfamiliar — you’ll see us putting links for other articles. It’s along those lines. If you’re thinking about more of a lean-back experience with video, I think it allows us to build in order to program along verticals. We’re basically building off what I think the Times has already been doing with their articles. We’re curating articles, we curate video — we are consciously programmers of content. To have someone that’s making a decision about programming using our editorial staff, and making sure all the content aligns with our voice, I think we have an excellent opportunity to both increase the inventory we have and make it more available to our readers, and also to build on what we’re already creating in-house. O’Donovan: I have to ask — there are people out there who believe video and video advertising are going to save digital journalism. Are you one of those people? Howard: I think it’s part of something larger, but I think it’s an amazing opportunity we see there with ad dollars moving to the space and rapidly growing. You can’t deny it. For The New York Times, it’s important that we do it in a way that maintains our editorial integrity, and we’re able to continue to be the credible resource that we are, and trusted, then I think the money is coming in. I don’t know how long it will stay and how long it will continue to grow at the rapid rate it is right now, but I think there are disruptions that are happening with Barry Diller’s Aereo, which is basically finding a way to directly stream broadcast content to consumers, bypassing your cable company. As things like that are beginning to happen, and this next generation is growing up watching content on their computers and cutting the cord, they just want to see great content. We’ll see more ad dollars even coming from television into the video space. For now, it’s a tremendous growth area, and we can’t ignore that. O’Donovan: Where do you see legacy print media competing in the digital video space with broadcast news brands? Howard: It’s challenging because broadcast TV is basically a clip factory. They have their broadcast interviews and they repurpose it online most of the time. So their resources are different than a purely online play. I do think we have a way to interact with our audience in a very immediate way that I’m not sure broacast can quite do, as far as from a social perspective and people commenting in conversations. I think we have an ability to respond very quickly and really understand our audience and who we’re talking to, to make sure we’re serving content directly to them in the way they’re most interested in consuming it. O’Donovan: Are you looking at new ways to build that engagement around video? Howard: I think if you look at HuffPo Live, what they did so well was creating that social engagement and creating that conversation. There’s definitely some learning there and we would like to figure out ways that we can have a more active conversation, but it’s initial thinking right now. Our social team is very strong here in thinking about new ways to engage mobile users and that kind of thing. I think that there’s a lot of opportunities to look at, and that’s obviously a big growth area where we’d like to be evolving with the rest of the market. O’Donovan: Speaking of HuffPo Live, I wanted to ask what you guys are thinking of doing in the live video space. Is that somewhere you want to expand? Howard: We have a great opportunity to do so. I think it’s figuring out what the right expression of that is. Obviously, our audience has very high expectations of our content. Like you mentioned, how do we compete with broadcast news? We know we have journalists all over the world — we know they’re constantly being asked to be guests on broadcast television. How do we wrangle that access we have to information into a daily show is definitely a question we’re asking, and will be continuing to develop. O’Donovan: So a New York Times cable show is just around the corner? Howard: It’s hard — we have cable companies and network companies coming to our offices all the time wanting to partner with us on news. Obviously having The New York Times co-branded on your show adds an incredible amount of credibility. So how do we create a product that encompasses the Times brand without undercutting what the brand represents? That’s a bit blah-blah, but I’m saying it’s hard — you look at things that are webby, The Atlantic is using a company called NowThis News, and it’s a bunch of young kids and it’s real snappy and clever and fast-paced and quick. And it’s interesting. It’s along the lines of Huffington Post — very young. But you think about that for The New York Times, and that doesn’t feel right for us. We want to be quick and clever and interesting, but how do we do it in a way that leans into the web without being disrespectful to our audience? O’Donovan: So taking advantage of all the opportunities you have without diluting the power of the product that brought you those opportunities. Howard: Yeah. And then, on the other hand, not being so serious all the time that you end up being just a dreadful bore at the dinner party, you know? Nobody wants that, either. We want to be entertaining as well, we want to have some fun. It doesn’t have to all be heavy and brooding. We need to have the ability to not always be so straight all the time. It’s a fine balance. O’Donovan: One area for that balance that’s equally entertaining and serious is the so-oft mentioned Snow Fall. People talk about it all the time. But I’m curious to know what role those involved interactives play in your job and what you’re doing. How much time to you spend thinking or talking about those kinds of projects? Howard: We spend a lot of time talking about those kinds of projects. It’s really been the belle of the visual ball for us this past year. It really speaks to the incredible talent that’s on the interactive team and the graphics team. You know, I was putting together a plan and I was thinking, “How many Snow Falls will we do next year?” But I was talking to someone about it and they said, “You know, it’s a really organic process.” To be the right story it has to be the right elements, it has to be the right story. It’s not like you put it on your slate and say, I’m going to do five interactive Snow Falls next year. The reason it worked so well was all the boxes were checked — it was timely, compelling, nail-biting, visual, all these things. It’s kind of like looking for a shooting star: You gotta just keep looking and watching what we’re doing. We’re thinking and talking about it all the time, and meeting on it and trying to identify — but we’re not going to do it just to do it and flex that muscle, even though we know we have it. We’ll do it right for the story. O’Donovan: But it is something you have the resources to do it more frequently if the right stories came up? Howard: There are lighter versions of it, too. It doesn’t have to be, “This is our interactive piece!” I’d like to see things blending a little more between excellent photography and excellent graphics, and we’re really working hard on getting a more unified feeling across all of our visual mediums so it really feels all holistic and all excellent. When you’re talking about management and building our team, we have the opportunity to all put our best talents together in a multimedia offering that makes sense. O’Donovan: Oh, you have to run soon. Howard: Yes! I’m going to the Yahoo NewFront. I went to the Weather NewFront today, and someone was saying to me, “Do you think people come to The New York Times and expect to see video?” And I was like, I saw the Weather NewFront and they presented a big slate of programming. One’s about the next virus that could kill everybody, and another one about major avalanches. I was like, if the Weather Channel can get away with original content, I’m pretty sure we’re poised to do that as well. It’s so interesting to see how all these platforms are developing very robust original content. O’Donovan: I agree that the Weather Channel is super interesting. Howard: When you talk about the idea that you’re using the Internet for your daily needs, they’re really just running with that. They know the Weather Channel is somewhere everyone goes throughout the day — planning your day, planning vacations. It’s the thread that ties us all together and they’re doing a great job extending that into the realm of entertainment. O’Donovan: We talked a little about TV and clips, and I talked to The Wall Street Journal about their WorldStream project, which is short clips from reporters all around the world uploaded in a streaming format. Is there anything similar to that, or other projects, that you think the Times could do with video, or that you really respect or appreciate when you think about what you want to build? Howard: We’re meeting with vendors now to look at products like that, that would enable us to give our journalists tools to be able to very quickly, with very little lift, get us content when they’re out in the field. I think it’s super interesting. If you look at the coverage we did on Boston for video, most of it was shot on an iPhone and it looked excellent. There’s ways to use your phone to get great content and ways to cut that content. I think we did such a great job with it that you would never know it was done on an iPhone. We’re definitely looking at ways that we can put the power of visual reporting into everybody that’s working with us. POSTED May 6, 2013, 10:24 a.m.
O'Donovan, Caroline. "Monday Q&A: The New York Times’ new head of video production on plans for growth." Nieman Journalism Lab. Nieman Foundation for Journalism at Harvard, 6 May. 2013. Web. 25 Apr. 2019. O'Donovan, Caroline. 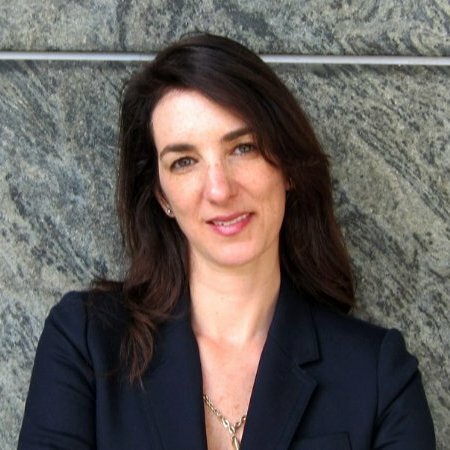 "Monday Q&A: The New York Times’ new head of video production on plans for growth." Nieman Journalism Lab. Last modified May 6, 2013. 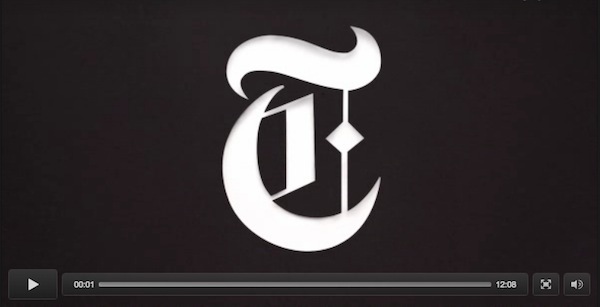 Accessed April 25, 2019. https://www.niemanlab.org/2013/05/monday-qa-the-new-york-times-new-head-of-video-production-on-plans-for-growth/.